We have served over 2 million hot, nourishing meals since Dec. 2015. By 2015 we'd seen tens of thousands of people forced to leave their homes, risking their lives in search of refuge and safety in the Europe. 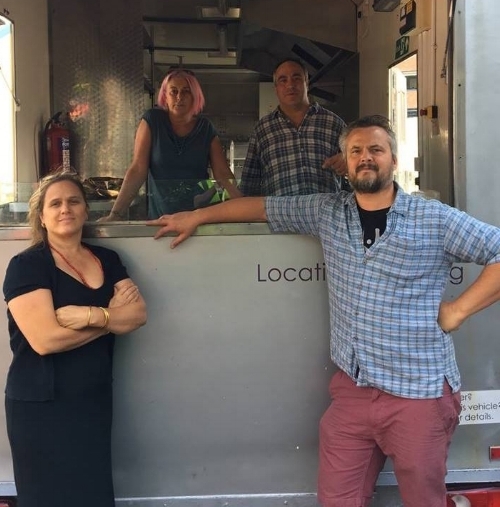 We could no longer stand by as we watched people living in horrid conditions in makeshift camps in Europe, so the four of us- Steve (event organiser), Paula (doula), Sam (chef), Janie (activist)- came together to offer assistance in the form of nourishing meals and access to fresh food daily. We pooled our skills and those of our resourceful friends and set up a communal kitchen to support people living in the Calais refugee camps and beyond. Since the 1st of December 2015 Refugee Community Kitchen has served over two million meals. We also serve hot food five nights a week at multiple points in London. We are committed to showing up rain or shine, and doing everything we can to make sure that no one goes hungry.